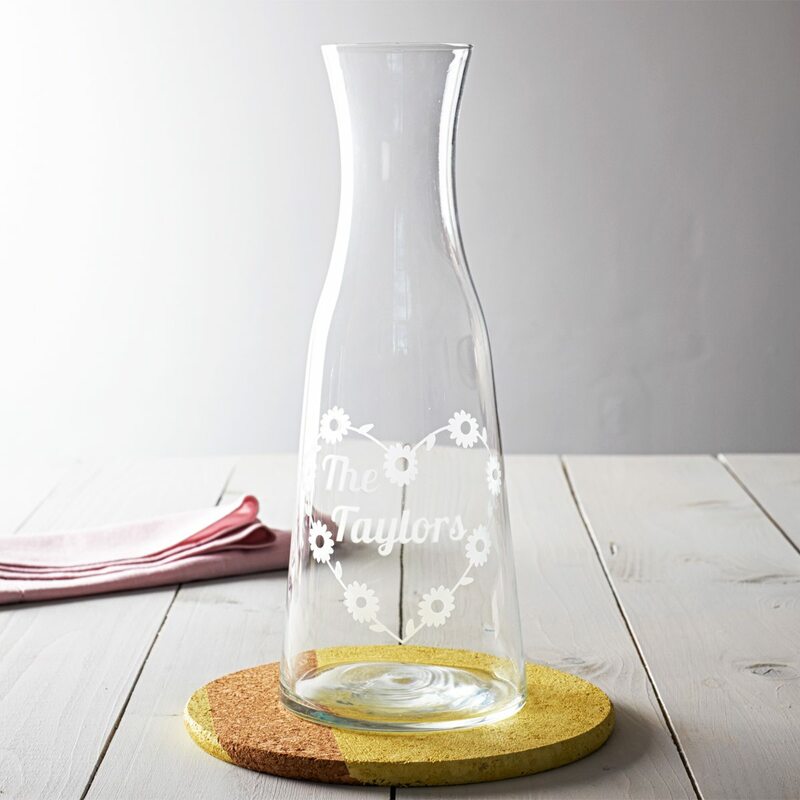 A beautiful hand etched wine carafe featuring a heart shaped daisy chain design which can be personalised with the family name of your choice. 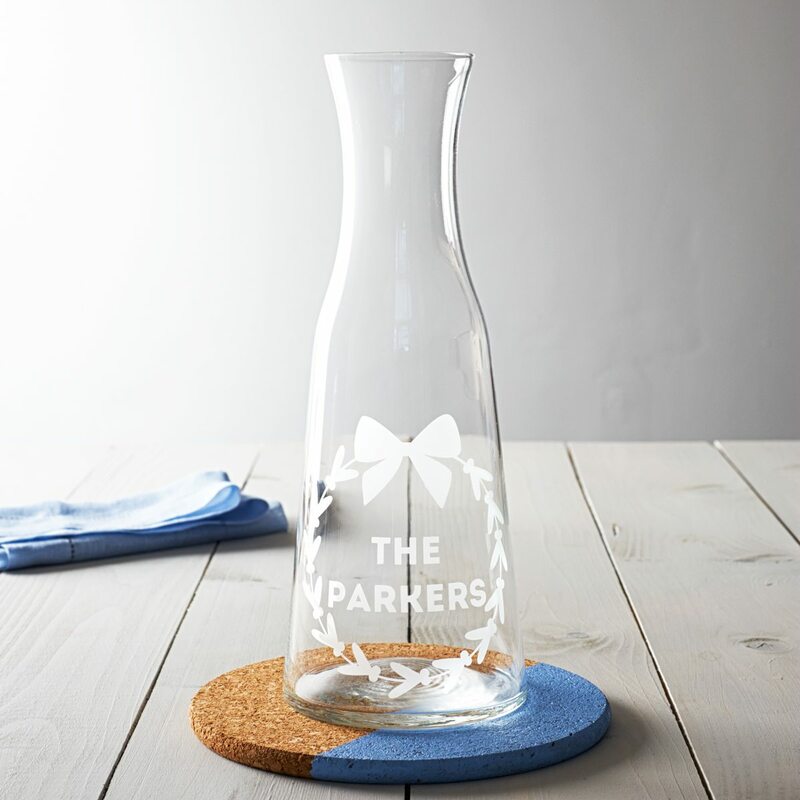 A beautiful glass carafe featuring a mistletoe wreath design which can be personalised with the family name of your choice. 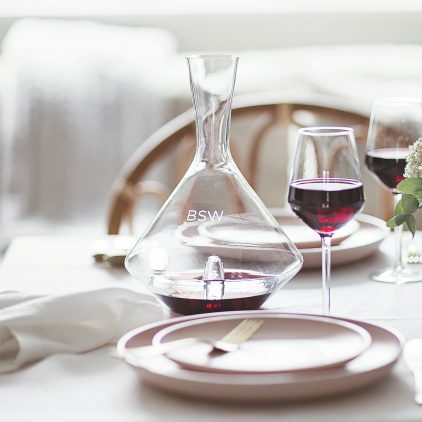 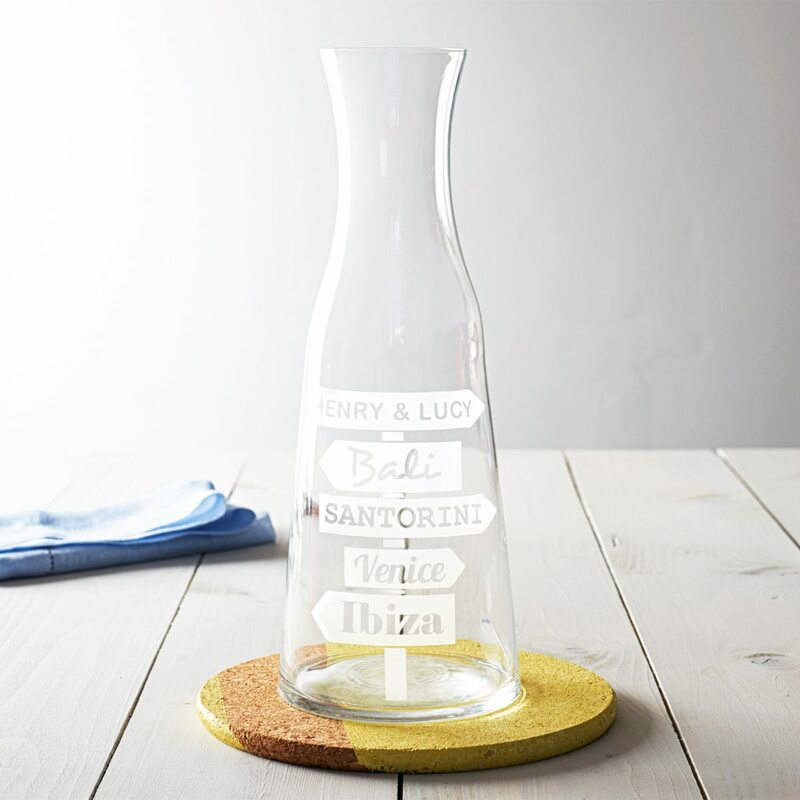 A beautiful hand etched wine carafe which can be personalised with names and travel destinations. 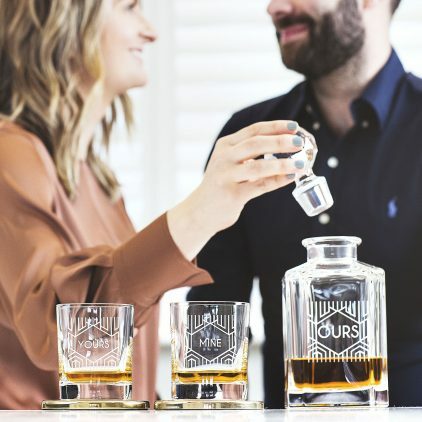 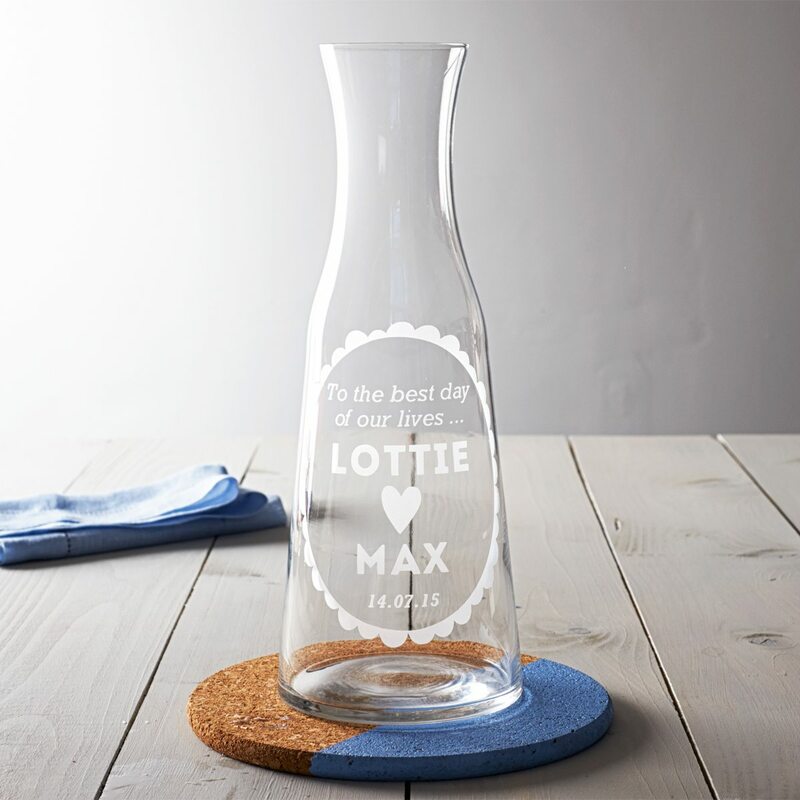 A beautiful hand etched wine carafe which can be personalised with the words, names and date of your choice.